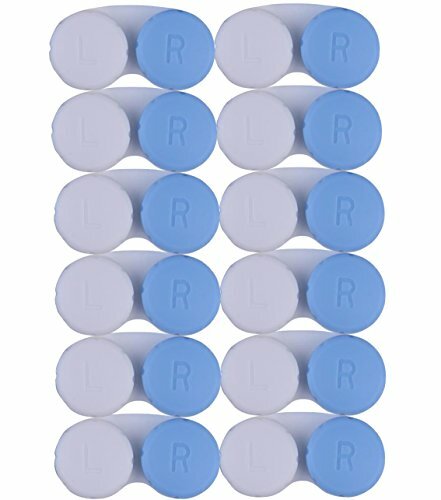 Contact Lens Case, Vision Pro 1, (Pack of 12) in convenient storage jar. Vision Pro 1 contact lens cases are America's #1 contact lens case. Vision Pro 1 lens cases are perfect for hard lenses and soft lenses ( hard contact lenses and soft contact lenses ). 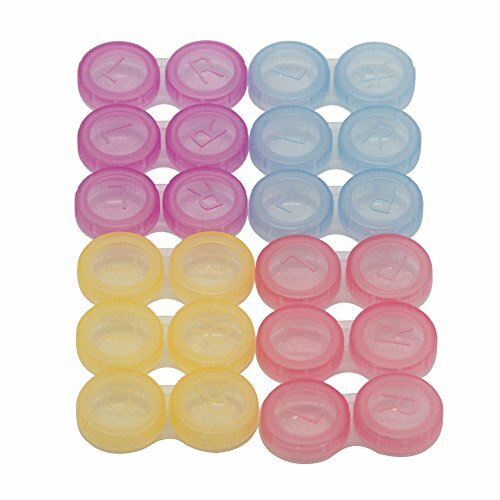 Made from the highest quality standards, Vision Pro 1 screw top contact cases come in a wonderful variety of fun colors. 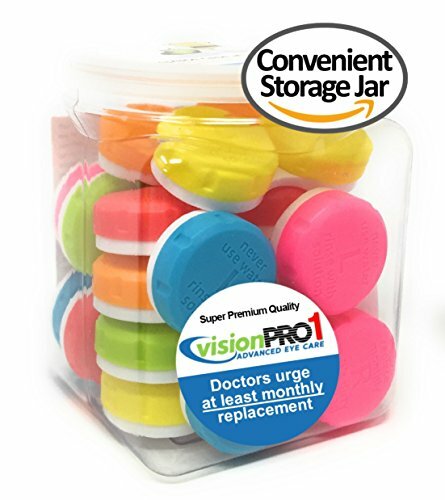 Vision Pro 1 pack of 12 cases comes in a convenient clear plastic jar / tub with an easy open and close top making it easy to start a fresh new case monthly. Research shows that contact lens cases grow heavy bacteria after just 2 weeks of use. Your best line of defense is to replace your case often. Here is an easy way to remember. If you wear 14 day or 30 day contact lenses, replace your case when you start a fresh pair of lenses. Vision Pro 1 Pack of 12 is a tremendous value so that it is affordable to replace your case often. And Vision Pro 1 cases are recyclable. Rest assured that these storage cases are America's best #1 selling contact lens cases. contact case. Color Case contact lens cases are America's #1 contact lens case. Color Case lens cases are perfect for hard lenses and soft lenses ( hard contact lenses and soft contact lenses ). Made from the highest quality standards, Color Case screw top contact cases come in a wonderful variety of fun designs and colors. 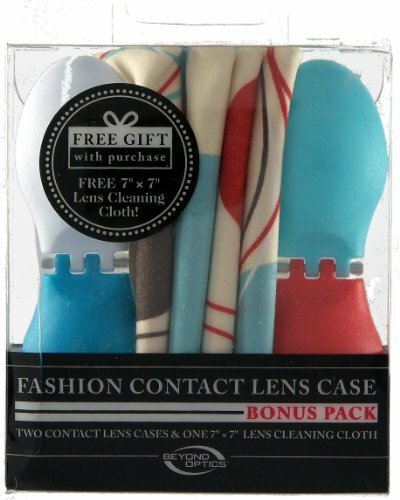 Color Case contact lens cases make it easy to start a fresh new case at least monthly. Research shows that contact lens cases grow heavy bacteria after just 2 weeks of use. Your best line of defense is to replace your case often. Here is an easy way to remember. If you wear 14 day or 30 day contact lenses, replace your case when you start a fresh pair of lenses. Color Case contact lens cases are a tremendous value so that it is affordable to replace your case often. And Color Case cases are recyclable. Rest assured that these storage cases are America's best #1 selling contact lens cases. 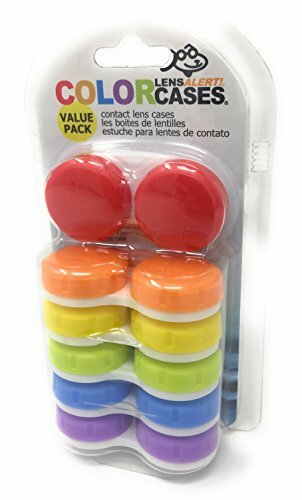 12 Assorted Contact lens Cases One year supply. Protect your eyes by changing your contact lens case monthly! 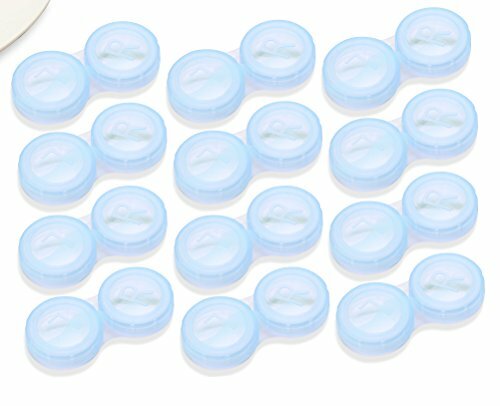 12 month supply of quality contact lens cases.One blue cap, one white cap for ease of sight when contacts are taken out. Perfect as a contact lens travel case or contact lens container at home. Contact lens holder includes left and right engravings to never mix up your contact lenses again!We provide 100% customer satisfaction guaranteed on all lens cases. ✔ Fits All contact lens sizes, One size fits all contact cases ✔ Monthly disposable Lens case to avoid eye infections ✔ One time purchase for a years supply of eye contact cases✔ Safe and Easy to Use Contact Container Care: Rinse the contact lens case with fresh solution. Then leave the empty contact case open to air dry. Keep the contact lens case clean and replace monthly. Contact Lens Cases: Soak, store, carry. Replace every 2 months. Suitable for use with hard or soft contact lenses. Follow your practitioners instructions for proper care of lenses. Do not use with heat disinfectant. Lens Cleaning Cloth: Microfiber cloth lifts dust and oil from lenses without the use of chemicals. 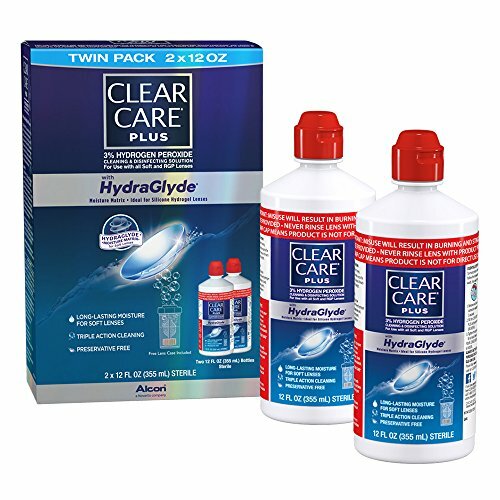 Ideal for eyeglass lenses, cell phones, computer screens, and other delicate surfaces. Reusable cloth is machine washable. Color Case contact lens cases are America's #1 contact lens case. Color Case lens cases are perfect for hard lenses and soft lenses ( hard contact lenses and soft contact lenses ). Made from the highest quality standards, Color Case screw top contact cases come in a wonderful variety of fun colors. 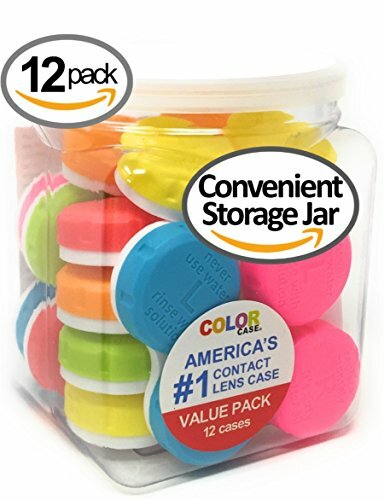 Color Case pack of 12 cases comes in a convenient clear plastic jar / tub with an easy open and close top making it easy to start a fresh new case at least monthly. Research shows that contact lens cases grow heavy bacteria after just 2 weeks of use. Your best line of defense is to replace your case often. Here is an easy way to remember. If you wear 14 day or 30 day contact lenses, replace your case when you start a fresh pair of lenses. Color Case Pack of 12 is a tremendous value so that it is affordable to replace your case often. And Color Case cases are recyclable. Rest assured that these storage cases are America's best #1 selling contact lens cases. 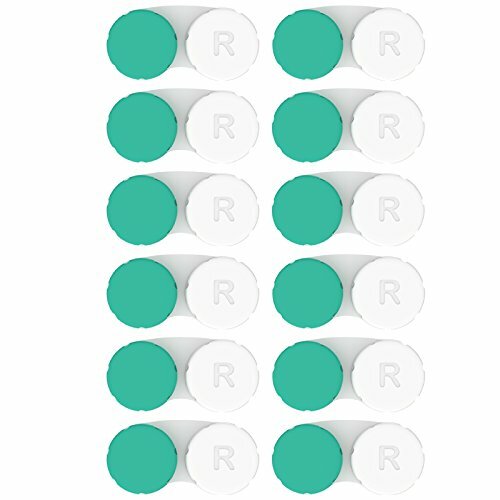 Contact Lens Cases 12 Count. FDA Approved. One year supply. Protect your eyes by changing your contact lens case monthly! Click to buy now! Contact Lens Cases - Twelve pack bulk packaged- Disposable, intended for monthly use - 0.2 lbs weight (12 pack of cases) - FDA Approved - Made with eco-friendly, recyclable materials Amazon Buyers trust our Lenscare brand products to be premium quality products so you are backed by our money-back guaranteeIf you are in any way dissatisfied by your purchase please feel free to return for a full refund! Guaranteed! How to travel with contacts? Must see for travelers who use contact lenses! 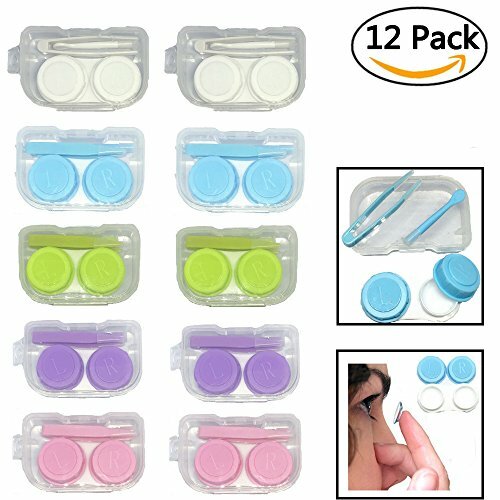 Compare prices on Contact Lens Case Pack at ShoppinGent.com – use promo codes and coupons for best offers and deals. Start smart buying with ShoppinGent.com right now and choose your golden price on every purchase.